1...Enter the East-West Prayer Hut to ask for guidance. 2...Enter the North-South Prayer Hut to ask for guidance. 3...Enter the Upward/Downward Prayer Hut to ask for guidance. 5...Pass the drum, go into the Upward-Downward Spirit guide hut to learn about our upward and downward spirit animals. 8...Go to the Fire to pray and communicate with your spirit animals and to see if your directions are in harmony and balanced. 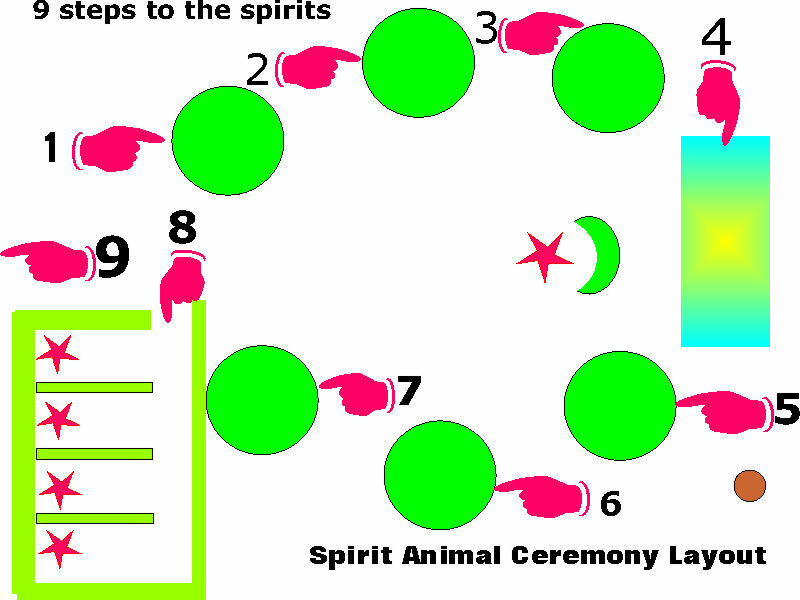 9...Leave the Animal spirit compound to join the world alongside your animal spirits.